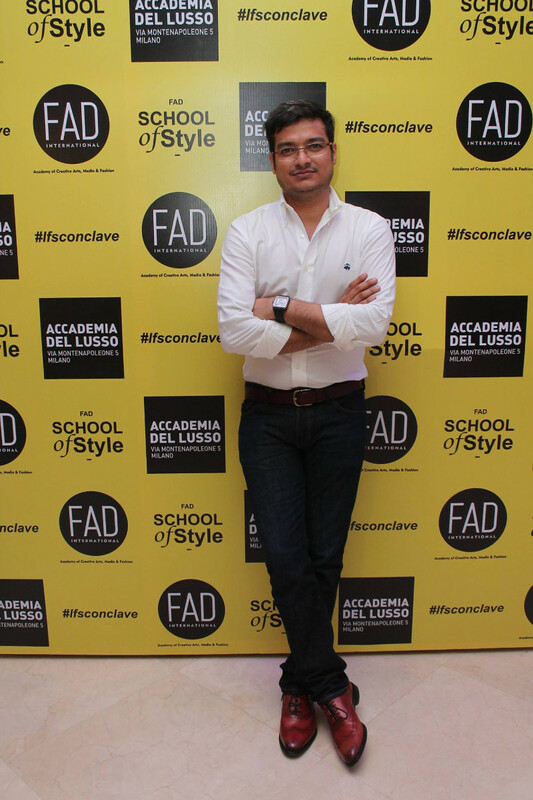 At the LFS Conclave last weekend organized by FAD International and ADL Milan, where I was invited as a fashion blogger, I got to be a part of discussions that happened around business of fashion and luxury. All the talks addressed fashion & design issues we face in our day-to-day professional life, but rarely give a thought to, let alone discuss them or seek a solution. Well, finding solutions is not easy but its worth noting that FAD and ADL together have taken the initiative to start a dialogue. In our fashion industry, where fashion rarely goes beyond Bollywood and fashion shows, its commendable to have a conclave that encourages discussion about fashion from a business point of view, exploring it from different perspectives as well as networking with industry professionals. 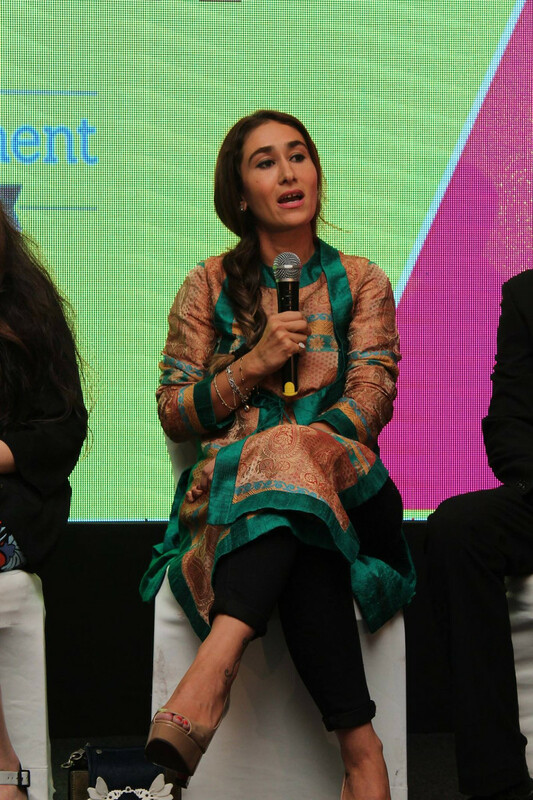 There were a number of talks ranging from ‘Fashion beyond Design’ to ‘Fashion Startups’ to ‘Luxury & India’, all moderated by Shivang Dhruva, founder & director at FAD International. Its rare to see the director of a fashion insitute so actively involved in an event. Shivang moderated the talks extremely well and only someone who has a thorough knowledge about the industry and is equally passionate can lead a conversation like this and also make it interactive. 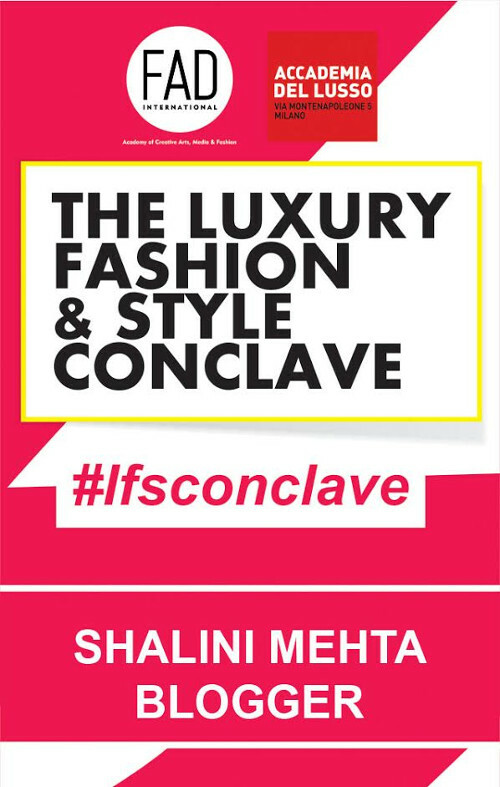 Design is a subjective field so its only natural to have people form subjective and personal point of views around it but its important to have these views come to light which is what FAD and ADL have well accomplished through this conclave. I enjoyed every bit of the conclave and followed every single discussion. But there were a few discussion points that stuck to me even after the event. Maybe because I found them extremely relevant or because I have faced them on a personal level. And then there were poeple who I found inspiring because of the passion they have for their work and for the thoughts and ideas they brought to the table. One such lady is Dr. Maral Yazarloo. Iranian born designer, Dr. Maral heads retail-marketing at Panchshil realty, one of India’s leading realty developers. Having studied design in Milan, she forayed into her passion for luxury & fashion and created her own clothing and jewelry brand ‘Maya’. She has showcased at the Fashion Forward Dubai and also happens to be a biker enthusiast. She spoke about her approach on devloping an international brand on ‘Fashion Startups’ discussion and had equally strong point of views on luxury in India which showed her understanding of the Indian market. She spoke about luxury fashion and how it means extraordinary experience and exceptionally good customer service to its clients. It was interesting to hear from someone like herself who has immense knowledge and experience in the field of luxury and share her thoughts about the Indian market vis-a-vis luxury fashion. With a Ph.D in marketing, corporate job, independent luxury fashion label Maya, and a motorcycling enthusiast, Dr. Maral Yazarloo exhibits an extremely interesting personality with a unique style. An absoloute inspiration. Another person I found inspring was Raffaele Ferrantem. Professor at Accdemia del Lusso (ADL) Milan, Raffaele represented the institute at the LFS Conclave and spoke about his professional experience as project consultant to luxury brands like Ralph Lauren, Hugo Boss, Michael Kors, Pirelli and the likes. He has been key to bridging the gap between marketing and design. He spoke about the concept of luxury which is about experience and not just the product. 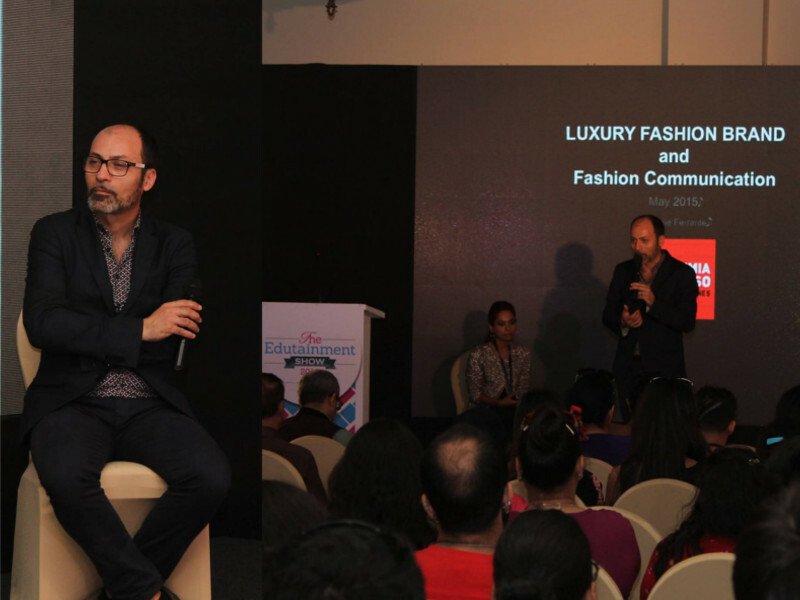 As a panelist on ‘Luxry & India’ discussion, he talked about India as a market with huge potential for luxury fashion brands. Well, the fact is India is the new kid on the luxury block and the art of luxury is alive here because of lavish Indian weddings, media advertisements, maharajas and Bollywood stars. Now all we need is more exposure and awareness about luxury fashion brands. Such interactions with industry professionals and collaborations with institutes like ADL, Milan can help bridge the gap. Its a great step by Raffaele Ferrante of ADL, Milan to collaborate with FAD Intl and create a unique platform to discuss fashion and network with industry professionals. India definitely needs more of such initiatives. Also, a person who stood out because of his passion and enthusiasm for his work was Sameer Makani, MD at Makani Creatives. He very rightly said that designers need to put in atleast a decade in their profession/in the industry to get a complete perspective and being in a rush to make it big does not work. He spoke about his share of struggles in his initial career and the journey to reach where he is today. Without mincing words he shared his thoughts about the Indian fashion industry. He also mentioned how fashion blogging in India is only limited to western fashion and urban lifestyles, which is worth a thought because there is a huge market that bloggers are not catering to, a market with huge potential that is going untapped. I hope that this is just the beginning and we will get to see more similar platforms to discuss and network with experienced industry professionals.